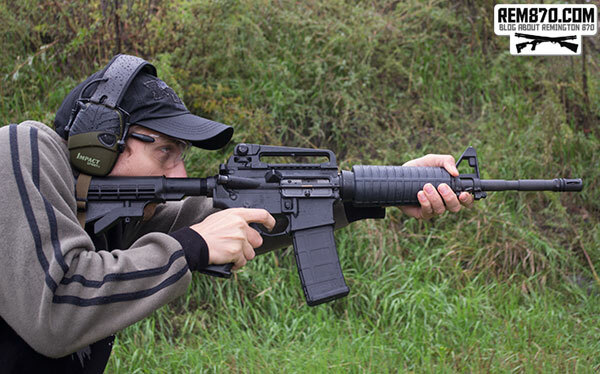 AR-15s are best known for their shooting accuracy as well as their modularity. This is why both civilians and law enforcement agencies throughout the world have been using AR-15 weapons for years now. Tactical forces, such as SWAT teams, love to use AR-15 rifles or variations of it because they can rush with them quickly. Then when they have to aim their weapon and shoot a suspect, they can do it fast and with a lot of accuracy. Since it is easy to configure the AR-15, it has been manufactured and modified into a number of other weapons. One of the most popular modifications is the M16 rifle. This rifle was first used by the United States Army when they were deployed to Vietnam in 1963. Today you will find hunters using the AR-15 to shoot their prey. Some say the AR-15 makes it easier for hunters to kill their prey, but to them it is all about the love of killing. That is why AR-15 rifles will continue to be used for hunting and sports just like it. 1. Remove magazine, check chamber. 3. Check the equipment against the packing list to see if the shipment is complete. 4. Field-strip rifle and inspect for missing, damaged, and rusted or corroded parts. 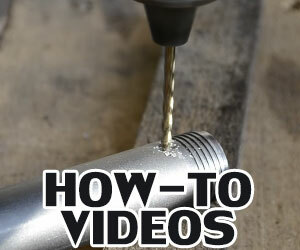 Disassemble and inspect tube (1) for bulges, dents, or damaged feeder lips (2). Inspect spring (3) and follower (4) for kinks or damage. Reassemble magazine and check for binding during operation of follower (4). 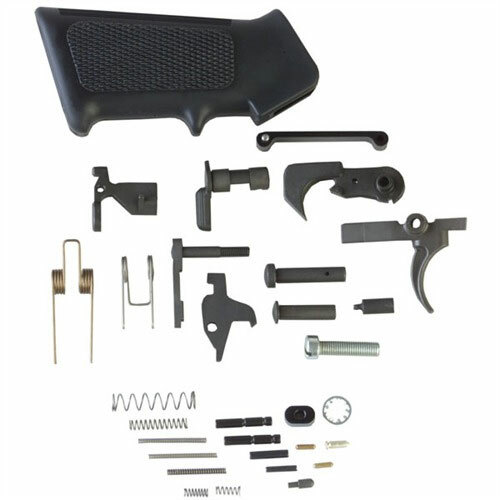 Rebuilds are important and it has never been easier than with the AR-15 Lower Receiver Parts Kit for those that want to revamp their weapons. This kit is well priced and it becomes relatively easy to rebuild your weapons. It will take some attention to detail to do the job properly. The parts list is such that each one is identifiable and if you lay the parts out carefully anyone can rebuild weapon using this kit. Parts are packed loosely but it only should take a few minutes to separate and arrange the parts. Many of the parts are small so it is important that you have an adequate workspace so you can keep track of the parts. Keep in mind there are three different kits with minor differences in each one so make sure you know which one you are ordering so there is no confusion when you finally begin your rebuild. Virtually anyone can do the rebuild on their own with some patience and attention to detail. 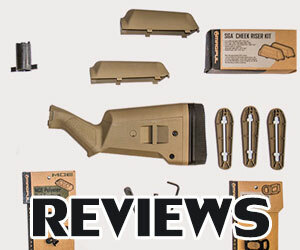 The AR-15 LOWER RECEIVER PARTS KIT by DPMS is ideal for those that have not done this before. The directions are straightforward and the parts list makes it easy to identify each part, if you take your time and essentially “paint by the numbers”, your rebuild will go smoothly. Exploded parts list view and numbering are useful. It is recommended that you keep the exploded parts list for future references. Other brands sell just the parts thrown in a bag and left it up to the user to figure out what was what. A weapon rebuild of this nature should be completed during the same work session to prevent parts from becoming lost or to keep you from losing your place as some users have indicated. This kit is ideal for home defense, competition, tactical and target practice weapons. The grip is incredibly comfortable and makes any weapon look great by adding a tactical look. Easy to install and a solid fit, no movement even after rough handling and sustained fire, being able to add accessories such as lights and lasers is an added plus along with the fact it protects the hands from barrel heat. The fit is somewhat tight and it can cause minor difficulties during the installation but each weapon is different so there may be varying degrees as far as ease of installation. Everyone is advised to make sure that the part ordered is designed for your weapon. If there is more than a minor problem concerning the fit double check to make sure you have ordered the correct part before you do damage to the product or your weapon by trying to install the wrong part. This an excellent upgrade and is well worth the price. 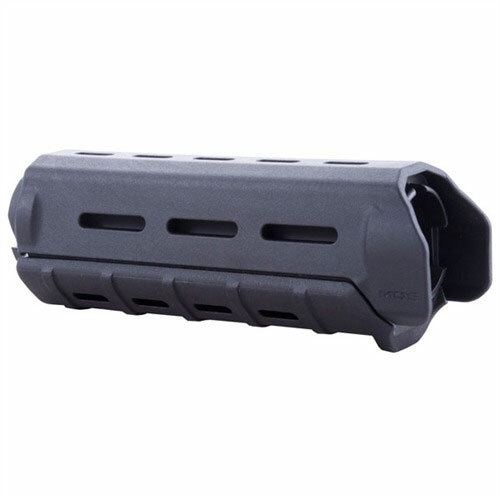 The AR-15/M16 MOE™ Handguard by Magpul far exceeds the quality, looks and serviceability of the stock part that comes from the manufacturer. Pay attention to detail when installing the Delta ring because some have had trouble getting it to seat but once again only a minor inconvenience because in fact it does fit and seat as the directions state. Most state that it is just a matter of minutes to install. The guard is made of polymer and not aluminum because of the weight and that the fact that aluminum will show wear over time. The guard fits the hand comfortably. Overall look and feel of the weapon becomes better after installing the Magpul handguard. Tough, easy to install and looks great. Adds to the weapons’ overall performance and looks. If you are looking for customization this product is ideal because of the choices you have. Feels good to the hand, which is important for those longs days at the range, patrolling or simply just target practicing. 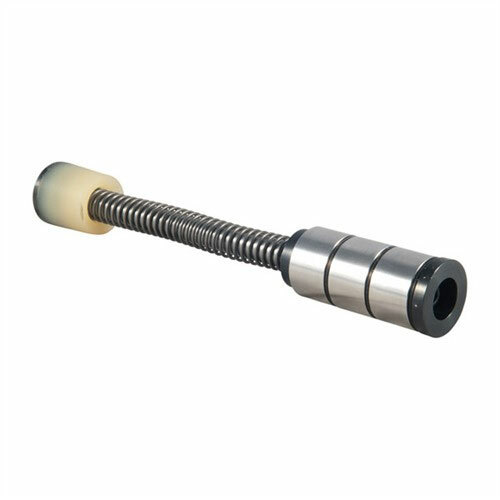 It has a two-piece design that allows for easy installation on the original factory barrel nut without removing front sight. However, the factory delta ring must be removed or a low-profile gas block installed. Sometimes, you don’t need to remove the Delta ring, which is a plus but there may not always be the case because the rails are designed to where the Delta ring has to be removed. Clamp and four anti-rotation alignment bolts lock the forend to the rear of the barrel and actually reinforce the barrel/receiver connection. This again is something that the end users must decide for themselves, as far as the reinforcement of the barrel receiver connection is concerned. This may be a byproduct of the design and is not actually intended for this purpose, so users should not get the wrong impression. All models, except MRF-MX, have two receptacles on each side rail for 360° push-button sling swivels. This is ideal because having a sling compatible with your rail is an important selling point that must be emphasized. The rails are ideal for mounting backup sights and still leaves you room for more accessories. It is important that you have the option of adding and removing accessories as the situation dictates. Today, for example, you may not need certain options but things change and tomorrow you may, so it is recommended that you provide yourself with all available options so when things do change you are prepared. 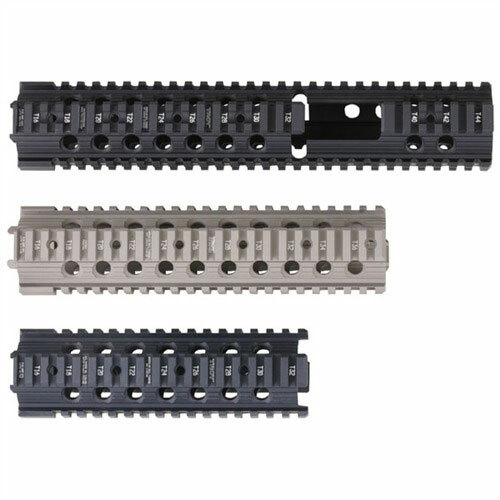 The AR-15/M16 Modular Rail Forend allows you to upgrade your weapon not only for today’s options but for tomorrows as well. It is always problematic when you buy a product and then you see that there are advances literally overnight, leaving your modifications you just bought obsolete. When upgrading you should always consider what the circumstances might be down the road and not necessarily just, what you need today. If you do it, right the first time you will never have to do it over ever again. The AR-15/M16/AR-Style .308 Tactical Compensators are designed to suppress recoil and flash to some extent by controlling the gas/energy generated by the propellant. This will make the weapon louder so keep in mind it is not a noise suppression device. The device is designed to give the shooter better control during sustained fire. You cannot allow the muzzle to jump all over but it is difficult to suppress without a compensator. Target acquisition is important and having to find the target after each sustained firing period is problematic. The compensator will require periodic cleaning to remove the fouling. Because it is a flash suppressor as well, it is ideal for tactical situations where you find yourself in confined spaces working as a team. In a combat situation, you may be forced to fire from a vehicle, window or firing port. Having the flash suppressed reduces the effects on others near the weapon. Once again, the sound will be louder so having the proper ear protection is critical, particularly when firing in confined spaces. 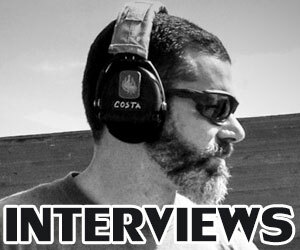 Muzzle jump is a serious problem for you and others that may be in the home if you find yourself defending your home, or working as a team on a combat mission. Shooters must always have control of their weapons and rapid fire can cause the muzzle to jump around and of course this means the muzzle is off target. Adding the AR-15/M16/AR-Style .308 Tactical Compensator will help any shooter in any type of situation to maintain better control and to reduce recoil. Charging handles can get sideways in a hurry if it is a sloppy fit, which of course makes it difficult to use. Try pulling a dresser drawer out one handed when one side is not lined up, it is almost impossible. The same thing can happen with your charging handle, it can hang up because it is not pulling back straight. The handles and entire design of some factory models make it hard to operate with the support hand and this means you have to take your finger from the trigger. The AR15/M16/AR Style 308 Raptor Charging Handle eliminates this problem by allowing shooters to operate it with either hand with a straight pull back. Beefed up and fluid the Raptor handle can be operated smoothly even while under stress. The handle can be operated by those wearing gloves, making it easy to grasp even if one hand is injured or otherwise restrained. Even though the new charging handle is bigger and may seem bulkier, it fits under your scope with plenty of finger room and actually makes it easier to operate in conjunction with a scope even if you are wearing gloves. When in a shooting position especially in tactical one you cannot be fumbling around and bringing the weapon up to yank on the charging handle because you cannot operate it with the support hand. In some case shooters practically have to get up from a prone on to their knees to clear a jam. It is time to get a new charging handle if this is ever the case. 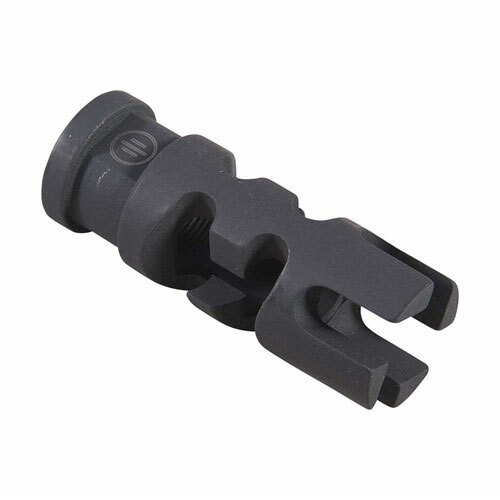 Get the AR15/M16/AR Style 308 Raptor Charging Handle to eliminate these problems. Ideal for left-handed shooters, but it can be operated in any shooting position. For example, you may have to shoulder the weapon if you are a right handed shooter on the left if shooting around a corner but you still need to operate the handle. With a factor model, you may have problems now operating the handle using your right hand. Sidewall friction as mentioned before can make it so you cannot pull the charging handle back one handed. You cannot stand up and play around in most cases with a “sticking” handle it is dangerous, and if on a firing range you may be warned if you are “fiddling” with your weapon at the wrong time. When considering any upgrade you have to look for the benefit, will it make you better shooter, will it be safer, and will it allow you to upgrade other components. You always have to look to the future. 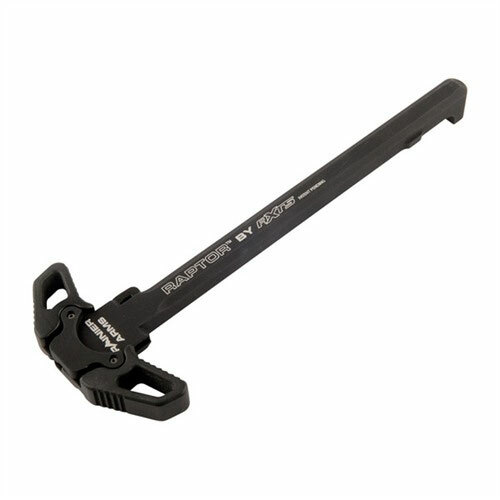 Installing the AR15/M16/AR Style 308 Raptor Charging Handle may mean you never have to worry about upgrading to a new handle for the life of your weapon. Called the next generation the PMAG GEN M3 comes in 20, 30 or 40 rounds 5.56×45 NATO (.223 Remington). Material is polymer and is for AR15/M16 compatible weapons. 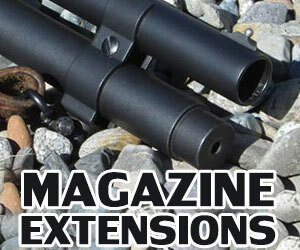 The magazine features a transparent window (Window version) so you can visually see the number of rounds available. The new technology has enhanced the material for strength and durability, which exceeds military specifications. The magazine is modified for a wide range of non-Colt platforms including the HK® 416, M27 IAR, British SA-80, FN® SCAR™ MK 16/16S and others. The bolt catch has been redesigned in the rear of the magazine that increased bolt catch clearance. The magazine also has an “over travel” stop on the spine, which prevents over-insertion on compatible weapons. The Magpul AR-15/M16 PMAG GEN M3 can be used for competitive shooting, self/home defense, tactical and target practice and hunting. The 30 round magazine may be a bit long for target shooting, but 20 round magazine is ideal for target practice. The fit is very tight and extraction is fast. The magazine feels sturdy and solid unlike the older metal ones, which at times seemed like they were made of “cheap tin”. No more “tinny” sounds when changing magazines, which is ideal for hunting or in situations where you are avoiding detection. 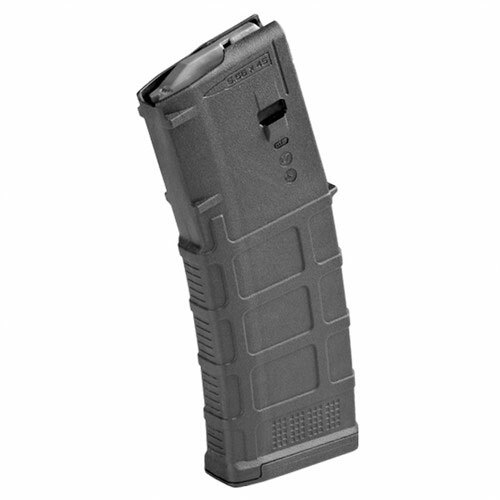 The polymer PMAG GEN 3 feels good in the hand and the magazine is easy to handle because of the flared floor plate. The longer 30 round magazine makes it a little more difficult to shoot in the prone but once properly supported the weapon is raised enough so the magazine is not hitting the ground. Remember, when shooting from the prone or any stationary position the weapon must be supported correctly. You should never support the weapon on the ground and in particular on the magazine because any hard surface will cause a “bounce”. 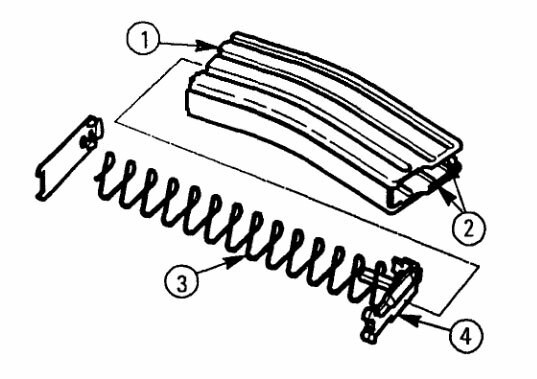 If bench shooting make sure the barrel is properly supported where the magazine is not banging the bench. You can now glance down even when in a shooting position and know when you need to have a magazine ready for change over. No more firing empty to know when you need a fresh one. Considered a drop-in mechanism fire control system, that has a match-grade pull. No more gritty feel with a crisp let off and fast reset. Because it is a drop-in part, you simply remove the factory trigger and safety selector and drop in the Gold Trigger Module, reinstall safety selector and pins and you are once again ready to shoot. A two-stage design makes it adjustable for sear engagement with a first stage take up of approximately 6 ounces, with the sear movement taking up the rest of the weight. This allows the shooter to build up steadily, allowing for precise trigger control. There is a second, independent intercepting sear positioned to block the hammer if it slips off the primary sear, this prevents accidental discharge is the weapon is dropped or suffers an impact. 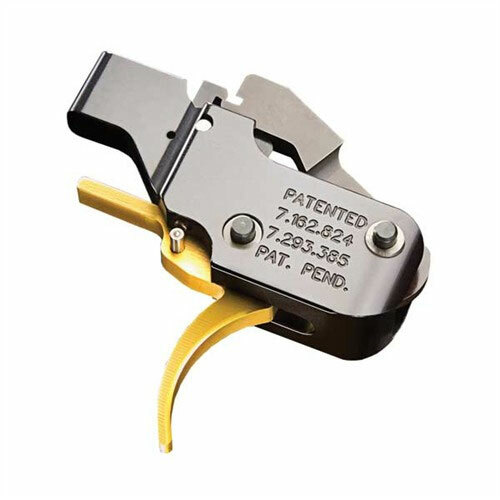 The American Trigger Corporation AR-15/M16 Gold Trigger Module is ideal for competitive shooting, hunting, tactical situations, home/self-defense and target practice. This product is aesthetically pleasing, breaks like glass and is very easy to install. There is a very short travel and the actual break point is a surprise. Once you have the new Gold Trigger Module installed it is recommended that you use “snap caps” to dry fire the weapon so you can become accustomed to the new trigger before you conduct live fire exercises. Users have stated this is the best trigger they have ever used, the second stage “breaks like glass”, and the trigger resets is crisp and operates like a well-built watch. The trigger assembly is essentially operational “right out of the box” with no adjustments needed. Once the trigger breaks there is no slack and the reset is sharp and fast making it ideal for competitive/competition shooting or for timed drills. You can shoot faster and more accurate with the American Trigger Corporation AR-15/M16 Gold Trigger Module. If you cannot maintain trigger control, your accuracy will suffer. Jerking the trigger is one of the more common mistakes experienced and new shooters alike make. One of the reasons for poor trigger control is the trigger assembly and trigger pull weight. Shooters may get impatient when waiting for the break and get ahead of the trigger by snapping or jerking it causing the weapon to move off target. Follow up shots are more difficult as well. Even through the sights are made of polymer they hold their zero even during rough handling. 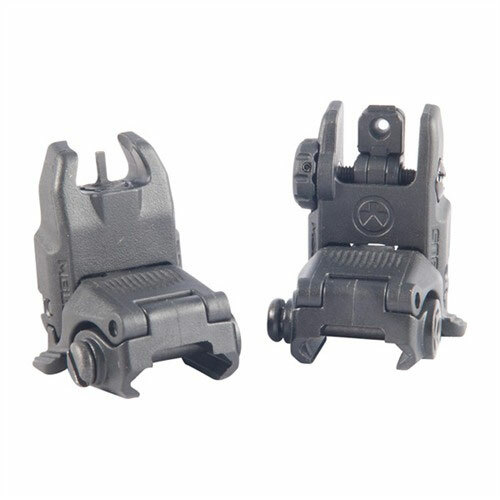 Iron sights of comparable design and features that have been dropped or struck lost their zero. Both sights are made of high quality polymer, and sit low out of the way essentially until needed. These sights enhance the look of the weapon and the single push of a tab on either side flips the sights into place, with a crisp snap. They fold back into place easily and hold in place tightly. The sights perform well with optic sights. Keep in mind these sights are designed as back-up sights for your optic sights, and once again once zeroed you can flip up and secure as often as you like and not have to worry about losing your zero. The springs are solid when opening and closing. Installation is fast and easy onto the Picatinny top rail. The sights are compact and do not take up much space, which allows additional optional equipment to be mounted as well. The sights snap into place without any slack and line up perfectly each time. After thousands of rounds and repeated use these sights stay solidly mounted and aligned. If you are hesitant to use polymer sights on a gas block because of the heat, it would take an incredible amount of shooting to generate enough heat and fast enough shooting to sustain the heat. You should not be hesitant to mount on a gas block. Keep in mind many handguns today are constructed of polymers so heat is not going to be a concern with these backup sights. •	JPSCS-15 fits AR-15/M16/M4. JPSCS-10 fits AR-style .308 rifles, including DPMS LR-308, ArmaLite® AR-10®. The annoying raspy buffer spring noises have been eliminated. This product is considered a drop in installation procedure that does not require any permanent modifications. The custom-ground and carefully balanced buffer spring greatly reduces friction and vibration so no more metal-on-metal grating noises. Fits M-4 buffer tubes with collapsible style stocks and when used with the included spacer fits the longer tubes on fixed rifle stocks. 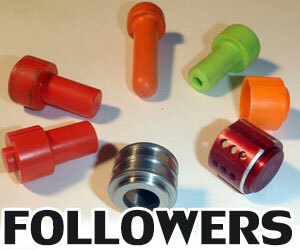 The Auxiliary spring rate kits for the JP silent Capture Spring allows for custom tuning on any given rifle. This item is ideal for home defense weapons/personal defense and tactical weapons as well as for target practice and for competitive shooting. The JPSCS is a compact spring unlike the stock spring, which once you pull it out you will note it is all spring, which accounts for the noise, the grating sound that can be aggravating and distracting. Note on the new spring the diameter will be smaller but this does not reduce efficiency but actually improves overall performance. When removing the stock spring be careful once you release the buffer spring because the tension will cause it to “fly out” and can cause you or someone else injury so make sure the area is shielded and everyone is wearing safety glasses/goggles to avoid injuries. JP Silent Capture Spring does reduce felt recoil and the annoying sounds are gone. Muzzle lift is reduced allowing for faster target reacquisition. Follow up shots are faster and smoother. Shooters will anticipate recoil and noise and may get into the habit of flinching in anticipation of recoil or noise, which can be a deterrent to accurate shooting. Once you have the JP silent capture spring installed, you can train yourself out of this habit. The recoil will still be there but you will notice a significant reduction in felt recoil along with a reduction in noise. It has a very tight feel with no sloppiness, and recovery times have improved, and much of what effects recovery is muzzle lift from the recoil. The instructions are clear and the installation is straightforward and can be accomplished quickly and by anyone. You should have a small punch set, flat bladed screwdriver and hammer available for removing pins and buffer retainer in some cases.